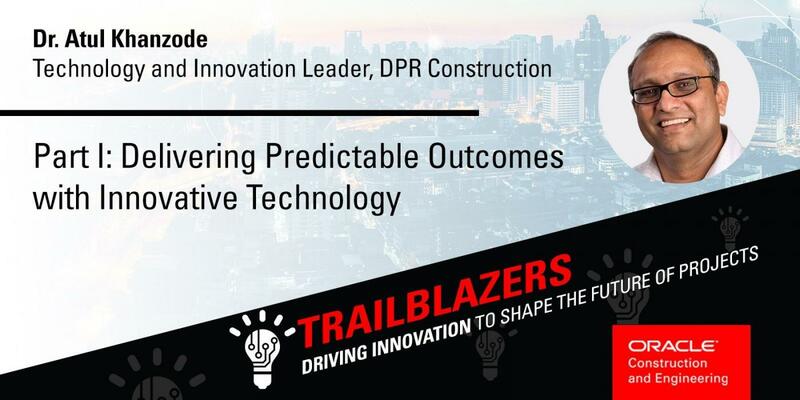 Dr. Atul Khanzode, Technology and Innovation Leader at DPR Construction, and Oracle's Dr. Burcin Kaplanoglu discuss how innovation and digital technology is transforming the Design & Construction industry as part of Oracle's monthly "Trailblazers" interview. Atul discusses how he has built a culture of innovation at DPR by empowering participation from project teams with ideas, while creating the capacity to provide funding. He challenges project teams to leverage technology using an integrated process while keeping in mind a predictable outcome. One such investment and partnership is with VueOps.